Get your delivery within hours with Amazon Prime Now. Amazon Prime Now builds on the convenience of online shopping with same-day shipping and two-hour delivery windows. For a while, free next-day shipping with Amazon Prime was the ultimate convenience, but sometimes you need that something right now, whether it's from Amazon, a local store, or a restaurant. 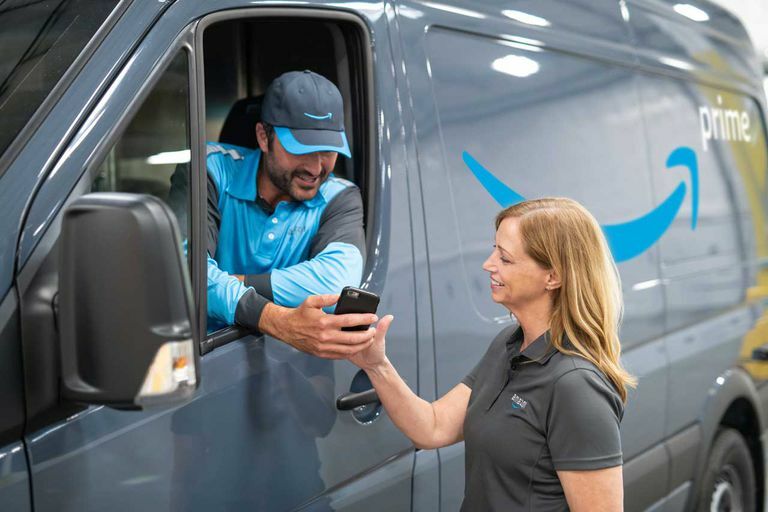 Prime Now is available in many major metropolitan areas around the country, and in a handful, customers can place orders through Amazon from local stores and restaurants. You may never leave your house again. Here's how Amazon Prime Now works. Amazon Prime Now is a perk offering same-day delivery in more than thirty metropolitan areas in the U.S. Depending on your zip code, you might be able to place orders from a local store or restaurant, in addition to Amazon products. Check the website to see where Prime Now delivers, and which areas offer local store and restaurant delivery. You can place an order using your desktop or mobile browser, or with the Amazon Shopping app. When shopping from Amazon, you can get free shipping on orders of $35 and up, otherwise there's a $4.99 charge. For Amazon restaurant delivery, fees vary; a cursory search found a range from $2.99 to $5.99 depending on the restaurant and the city. For local stores, there might be a minimum delivery requirement; one supermarket in Manhattan has a $20 threshold. If something you order is out of stock, the store will contact you about a replacement. You have to select what the delivery person should to do if they don't reach you: include replacement or leave it out. When you check out, you'll see a selection of two-hour delivery windows for Amazon and local store deliveries. You can choose to have the courier leave the package at your door or hand to someone at that address. Amazon automatically adds a tip of $5, but you can edit that or set it to zero if you prefer to tip in cash. Restaurant orders are prepared and delivered right away, the same as if you ordered dinner through Seamless or GrubHub. Conveniently, you can track the driver in real time. Prime Now delivers every day from early morning to late evening; specific hours vary by locality. To take advantage of Prime Now, you need an Amazon Prime account or have someone else share their Prime membership with you. Go to the Prime Now website to see if it's available in your area. If you're signed in and have your shipping address saved, you'll see at the top of your screen whether or not Prime Now is available. A module will say "Shopping in," followed by your zip code. Select the module to switch to a different zip code if that's not your preferred address. If you don't have a saved shipping address, enter your zip code in the box in the middle of the screen. You can sign up to get an email notification when Prime Now comes to your area if it's not already available. There's also a View all cities link below the zip code box so you can see if Prime Now is anywhere close to where you live or work. The service ships to over 30 cities and localities, including Manhattan and Brooklyn in New York City, San Francisco, Houston, and Las Vegas, all of which include some portion of the suburbs, such as Long Island, New York. Not all cities covered by Prime Now include local store and restaurant delivery. Metro areas offering all three Prime Now options include San Francisco, Seattle, New York, and Atlanta.